The Brazilian State brings together people, territory and sovereignty, essential elements for its own existence. Moreover, it brings together values that leave the country in a prominent position in the American continent since it is a sovereign State with continental dimensions and population that exceeds 200 million people. A young democracy. The federated states, on the other hand, do not have sovereignty and are endowed with only an autonomy shielded by a federative pact that provides each of the 26 states and the Distrito Federal, which contains the capital of the country, the capacity for self-organization, self-government, Self-administration and local legislation. V – military police and military fire brigades. 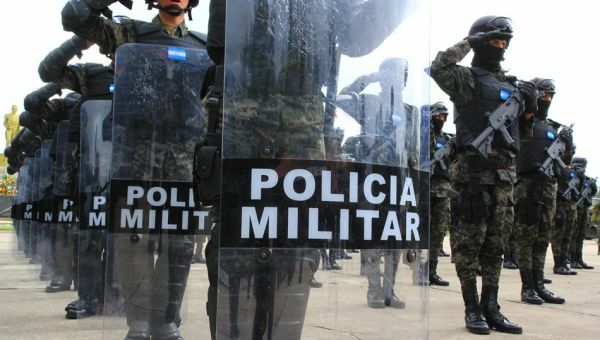 The public security system considers the Military Police as responsible for the activities of ostensive police and preservation of public order, taking care of the welfare of all its population distributed in more than 5,500 municipalities. The preventive police model, organized based on military investiture, is applied in each of the states and the Distrito Federal totalizing 27 independent institutions, but organized in a similar way and perfectly integrated, in order to share techniques, processes, experiences, education and management model. As independent forces, each State Military Institution is subordinate to the Governor of the respective State, but it may be employed in the internal defense, since they are auxiliary forces and reserves of the Brazilian Army. Its members, along with the components of the Military Fire Corps, are considered, for lawful and legal purposes, as military of the States and the Distrito Federal. 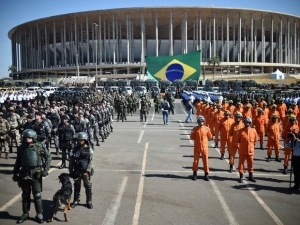 Currently, the State Military Institutions from Brazil have one of the highest modern standards and technical-professional updating, oriented to the protection of the life and physical integrity of the people, besides being references in the promotion of fundamental rights. The police techniques, shared among the States, are objects of study and inspiration for other countries. In any part of the Brazilian territory, the 650 thousand men and women of the Military Police are guided daily to maintain peace, or restore order, protect people and provide conditions for progress. 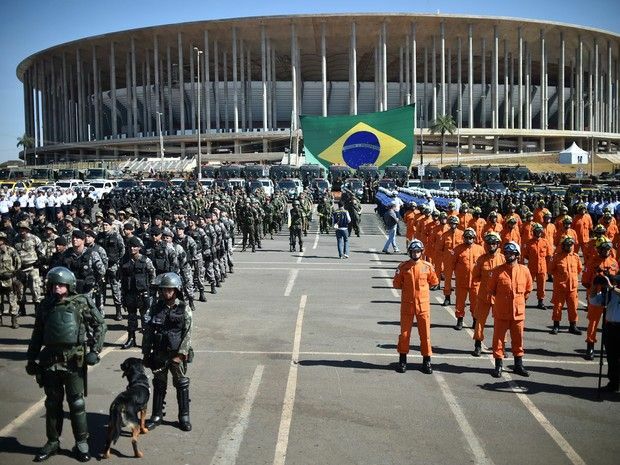 A country with the size of Brazil faces social problems with direct repercussions on the work carried out by the military forces of the federated states, especially the police forces. 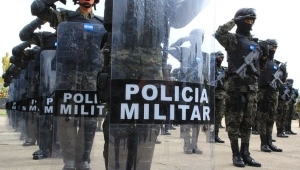 The Brazilian Military Police are aligned with the national public security guidelines and preserve the essence of the performance of their activities with respect to the fundamental rights and guarantees, the foundations of the democratic state of law. However, we recognize the complexity of the various social problems to be faced. 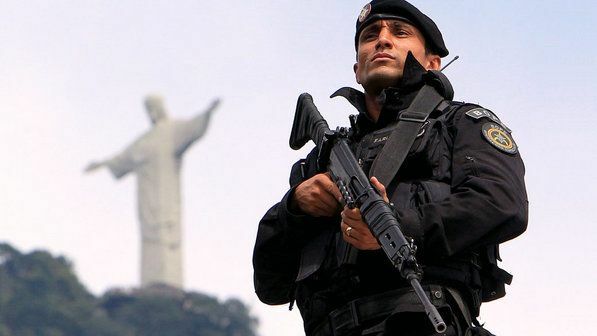 Strengthen and articulation of the Public Security Systems, Social Defense and Civil Defense, acting in nationwide networking with the States Military Institutions of Brazil, consolidating the efficiency and effectiveness of the public services and the promotion of citizenship. Being a national reference concerned matters of Public Security, Social Defense and Civil Defense, having as attributes the transfer of knowledge, skills, interlocutions and debates, legitimacy and experience, orientation and standard of action. Therefore, the CNCG-PM / CBM constitutes a collegiate composed of all General Commanders of the State Military Institutions that are in full exercise of their positions, promoting the representation of these at national and international level. The military of the states represents the greatest support of our young democracy. The 650,000 active police officers of these “gendarmerie forces” are responsible for preserving order, preventing and repressing crime, patrolling public roads, disciplining human behavior among other duties, always guided by faithful compliance with fundamental guarantees and legal precepts.